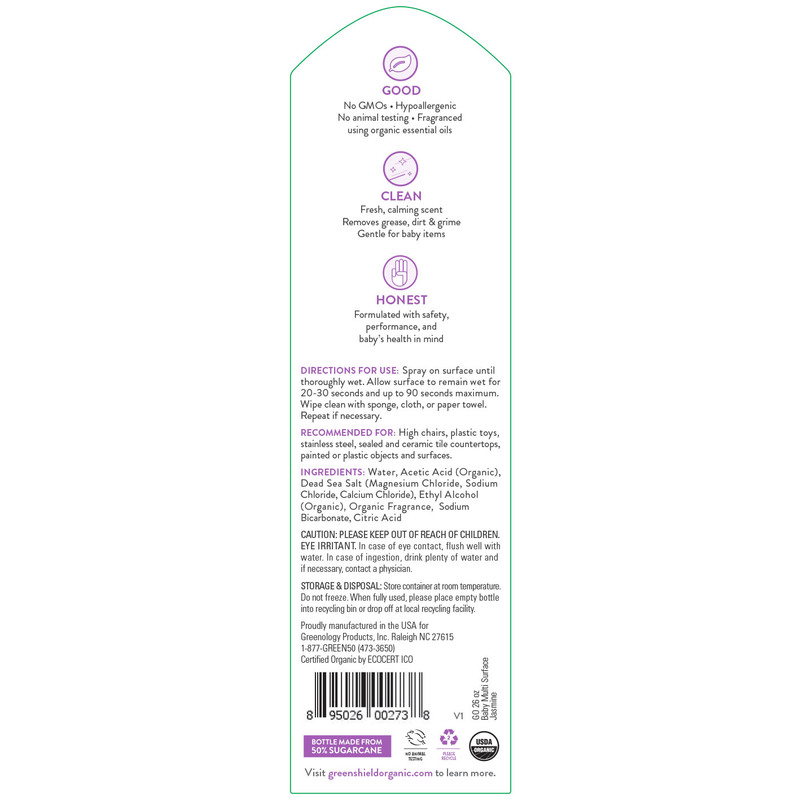 USDA Certified Organic Baby Multi-Surface Cleaner in Jasmine is formulated with safety, performance and baby’s health in mind. 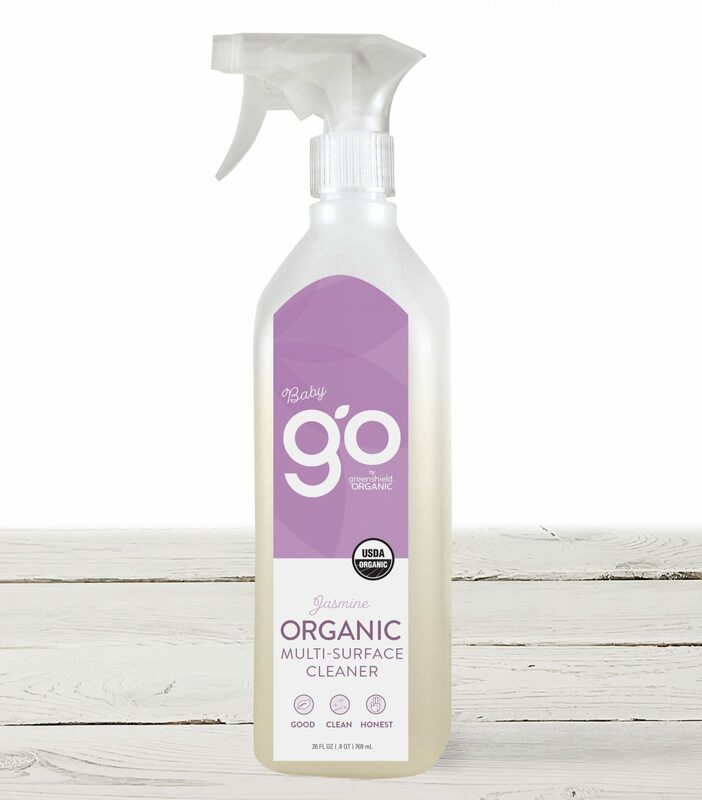 Made with non-toxic and baby-friendly ingredients, this versatile cleaner is something the whole family will love. Use it to safely clean up everything from messy counters to their most beloved toys, leaving behind a lovely floral aroma and no harmful resides. Spray on surface until thoroughly wet. Allow surface to remain wet for 20-30 seconds and up to 90 seconds maximum. Wipe clean with sponge, cloth, or paper towel. Repeat if necessary. Water, Acetic Acid (Organic), Dead Sea Salt (Magnesium Chloride, Sodium Chloride, Calcium Chloride), Ethyl Alcohol (Organic), Organic Fragrance, Sodium Bicarbonate, Citric Acid.